Castroviejo Micro Dissecting Spring Scissors; Angular (Points To Left), Blunt Tips; 9mm Cutting Edge; 0.15mm Tip Width; 3 1/2" Overall Length. 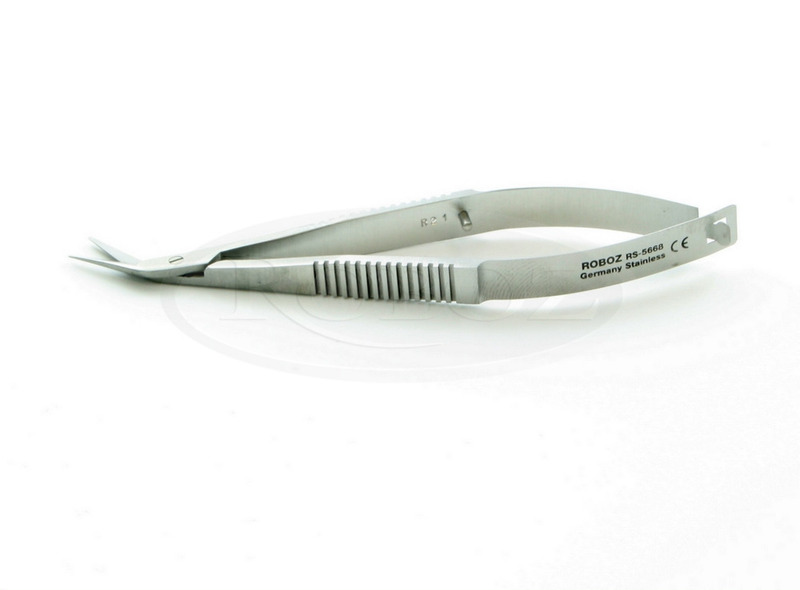 Angled blades make it easier to cut from above while keeping the blades aligned with the line of cutting so that they do not penetrate deeply into the underlying tissue. Blunt tips will help prevent accidental damage, too.